​Once again we have legendary and jiu jitsu genius Master Pedro Sauer coming to Mitrevski Martial Arts. We are all about sharing the Jiu jitsu knowledge the correct way and what other way than to learn directly from the source. 8th degree Coral belt under Grandmaster Helio Gracie and Master Rickson Gracie. 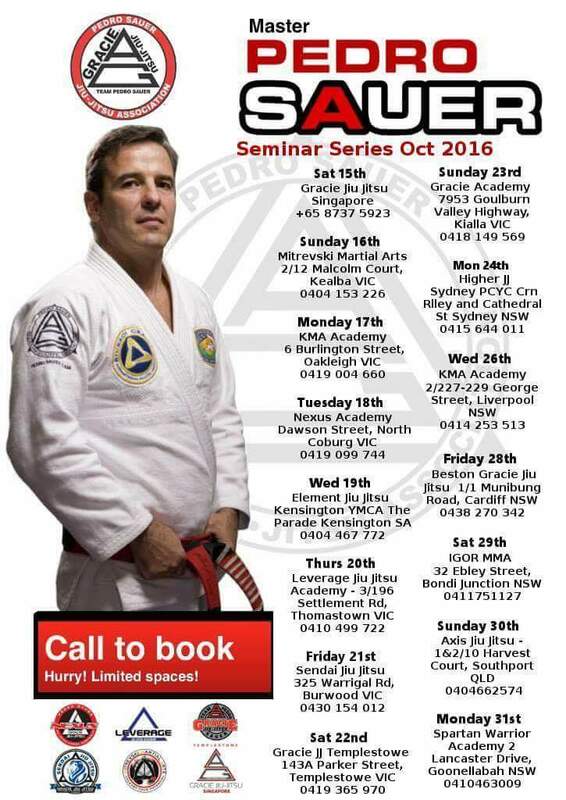 This seminar is open to ‘ ALL’ jiu jitsu enthusiasts and practitioners from ‘ANY’ school or association. CALL 0404 153 226 TO BOOK IN YOUR SPOT EARLY.